is the India correspondent for The National. His work has appeared in The New Yorker, The New York Times, Granta, and the Wall Street Journal, among others, and his latest book is This Divided Island (2014). He lives in New Delhi. The old mill town of Winooski in Vermont gets an average of 75 inches of snow per year, and temperatures in January fall below -10ºC. In 1979, in the clutch of a global oil shock, Winooski’s 7,500 citizens found themselves paying an annual $4 million for heating – around $13 million in today’s money. Desperate to spend less and still keep warm, the city council approved a tremendous plan: to build a dome over Winooski. Manufactured out of clear plastic, and held aloft by metal cables, the dome would enclose a square mile in area. Fans would pull in fresh air, to be cooled or heated as necessary. To leave or enter, cars would have to pass through a double-doored airlock, as if Winooski had turned into a space station. Within the controlled climate under the dome, heating expenses would fall by 90 per cent; you could, one planner exulted, ‘grow tomatoes all year round’. A federal government agency promised research funding. The next year, R Buckminster Fuller, the designer and inventor who had popularised the geodesic dome, came to Winooski to bless the project. Through the preceding decades, Fuller had become a darling of the counterculture. He defied disciplinary boundaries, describing himself as a ‘comprehensive anticipatory design scientist’ working across architecture, science and economics. Marshall McLuhan, that other great hippie hero, heralded Fuller as ‘the Leonardo da Vinci of our time’. It wasn’t just in his work that Fuller described a famously eccentric orbit. He wore three watches, and his diet consisted for years of steak, prunes, Jell-O and tea. He compiled many of his sage-like musings – as well as his laundry bills and other irrelevancies – in 4.5 tonnes’ worth of scrapbooks, known as the Dymaxion Chronofile; in this manner, he recorded his life in 15-minute chunks for more than 60 years. Fuller wasn’t the first person to dream of domed cities – they’d featured for decades in science fiction, usually as hothouses of dystopia – but as an engineering solution, they feel thoroughly Fullerian. Implicit in their concept is an acknowledgement that human nature is wasteful and unreliable, resistant to fixing itself. Instead, Fuller put his faith in technology as a means to tame the messiness of humankind. ‘I would never try to reform man – that’s much too difficult,’ Fuller told The New Yorker in 1966. Appealing to people to remedy their behaviour was a folly, because they’d simply never do it. Far wiser, Fuller thought, to build technology that circumvents the flaws in human behaviour – that is, ‘to modify the environment in such a way as to get man moving in preferred directions’. Instead of human-led design, he sought design-led humans. Winooski’s grand dome never went into construction. By the end of 1980, after the election of Ronald Reagan as president and a summer of stormy criticism over the cost and visual impact of the project, the mood had shifted. 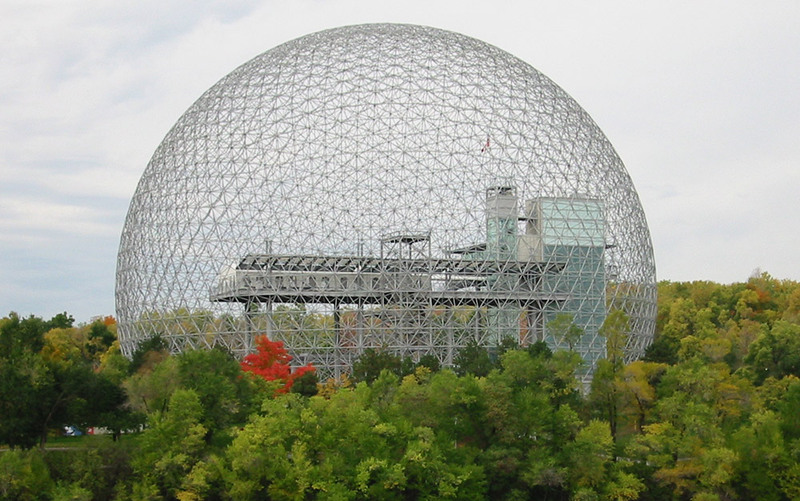 But Fuller, who had first advanced the idea of a domed city in 1959, continued to champion it until his death in 1983. ‘The way consumption curves are going in many of our big cities, it is clear that we are running out of energy,’ he wrote. ‘It is important for our government to know if there are better ways of enclosing space in terms of material, time, and energy.’ The most ambitious of his urban lids was the dome he wanted to lower over midtown Manhattan, a mile high and two miles in diameter. As well as a perfect climate, Fuller said, the dome could protect New Yorkers against the worst effects of a nuclear bomb going off nearby. In the great flux of postwar United States, Fuller was convinced that the world was marshalling its resources poorly and unsustainably, and that change was a burning imperative. The world finds itself again passing through a Fullerian moment – a phase of political, environmental and technological upheaval that is both unsettling and exhilarating. Within this frame, Fuller’s life and ideas – the sound ones but also those that were tedious or absurd – ring with a new resonance. Aside from the Chronofile, Fuller made another extraordinary record of his life and work. In 1975, when he was nearly 80, he spent two weeks in a spare television studio in Philadelphia taping a set of 12 lectures lasting 42 hours in total. He sits in a white chair, in front of an audience of 10 or 12 young acolytes. He uses no notes, and sips from a glass of water perhaps six times in the course of the whole series. His vowels are as broad and flat as prairies – ‘scaa-yence’ instead of ‘science’ – and his sentences are punctuated by an odd glottal sound, halfway between a chuckle and a clearing of the throat. In his favourite pose, Fuller shuts his eyes and brings his palms and fingers together just below his chin. He speaks in this manner for minutes on end; with the sound muted, he resembles a televangelist inviting us to join him in prayer. The very title of his lecture series, Everything I Know, reveals a Fullerian audacity – a belief in the firmness of his knowledge and the power of his reason, a conviction that everything in his head was worth preserving. He maunders across mathematics and architecture, history and economics, engineering and education, even God and love. He spends hours on the properties of the tetrahedron and other shapes, discussing them in tones of near-mystic reverence. He seems enamoured by the power of geometry, maps, drawings and diagrams to capture and distill the relationships between elements in a system. 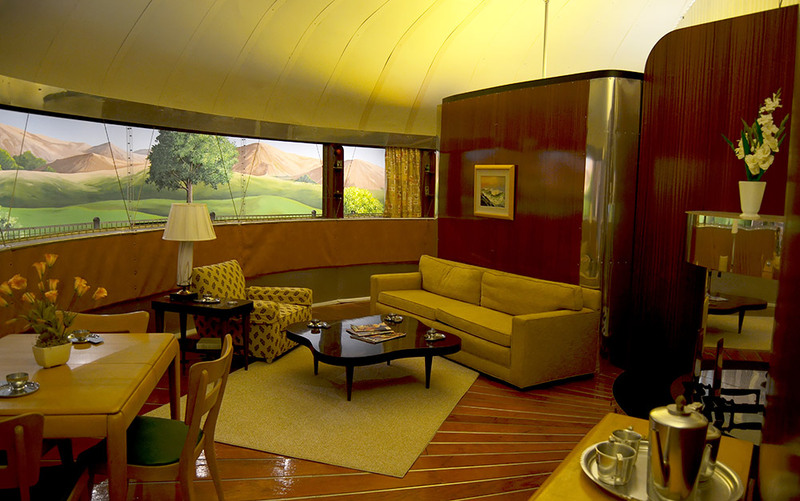 Fuller’s own designs feature heavily, of course: the geodesic dome, the Dymaxion House, the Dymaxion Car, even the Dymaxion Bathroom, all built for hyper-efficiency. 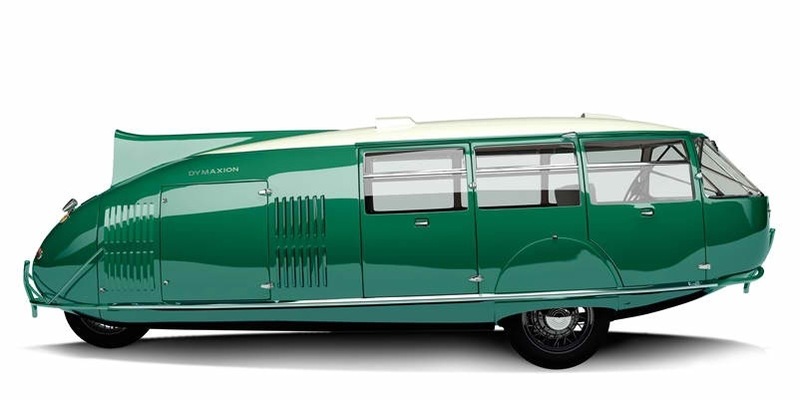 ‘Dymaxion’, an amalgam of ‘dynamic’, ‘maximum’ and ‘tension’, was coined for Fuller by a couple of advertising executives, and he slathered the adjective over almost everything he thought up. He was a keen neologist, believing in the capacity of new words and phrases to create fresh imaginative possibilities, using his terms like struts to hold up his ideas. Some of Fuller’s riffs are bizarre, and he can be dead wrong. He reads history as one vast, uniform progression of warring elites, and claims that the human race was planted by some unknown force upon the islands of the South Seas. He ascribes a common etymological root, and a profound numerological significance, to ‘nine’ and ‘none’. (‘I keep alive superstitions,’ he explains, ‘because there might be something there some day.’) At one point he sings a ballad of his own composition, ‘Roam Home to the Dome’, whose lyrics are frankly awful but, in his rendition, impossibly endearing. Always a careful guardian of his image, Fuller used these lectures to burnish his personal mythology. To rescue humanity from itself through design and technology was, in Fuller’s view, his responsibility as well as his calling. The dramatic fulcrum of Fuller’s career came one winter evening in 1927. He was 32, broke and jobless in Chicago. His first daughter had died from polio five years earlier, and his wife had just delivered another baby girl. The whole arc of his life, from his birth in Massachusetts to his expulsion from Harvard to the failure of his construction company, pointed to a waste of a life. Fuller walked to the shore of Lake Michigan to throw himself in. Then, as he recounted later, he heard a voice: ‘You do not have the right to eliminate yourself… You belong to the universe.’ The voice, Fuller said, informed him of his higher purpose. Chastened and inspired, he returned home, became vegetarian, and spent the next two years scribbling down his ideas, the foundation of the work to come. At least, this was how Fuller described the momentous evening. The philosopher Jonathon Keats knows better. In his book about Fuller, You Belong to the Universe (2016), Keats notes that there’s nothing in the Dymaxion Chronofile to suggest that Fuller attempted suicide, that he changed his diet, or that he reached a state of despair about finding work. It was as if, having decided that all his cogitation ought to bend towards the broadest possible service of humanity, Fuller retrospectively produced this fable. His own life was the only force that unified the disparate fields in which he proceeded to dabble. The bedrock of Fuller’s worldview was a near-theological belief in the manifest destiny of humankind, which drew on his early exposure to transcendentalism via his great-aunt Margaret. Fuller’s mission to renovate how people lived recalled Ralph Waldo Emerson’s summons to stop conforming to the past, to develop ‘an original relation to the universe’. For Fuller, this was an urgent instruction. As a young man, he had absorbed the precepts of the economist Thomas Malthus, who warned that a population growing without check would inevitably find itself starved of food and other resources. That dark age of insufficiency, Fuller thought, was just around the corner. There wasn’t much time; the future had to get here tomorrow. But as easily as Fuller found a niche within the counterculture, he placed himself within the currents of the US mainstream too. The Dymaxion House, one of his earliest inventions, typified how Fuller wedded the culture to its counter-narratives. Fuller wanted, above all, to reimagine the notion of a house itself, as ‘not a property to be owned, but a mechanical arrangement to be used’. In its cross-section, the Dymaxion House looked like a deck of hexagonal floors hanging from a central mast. A system of vents pushed a channel of cool air through the house in summers and could be stoppered up to conserve heat in winters. A shower sucked up a mere pint of water, mixed it with air, and sprayed it out at high speed in the manner of a fog gun. The toilet packaged waste neatly in plastic and sent it to an on-site digester, which converted it into fuel. The house, which cost $6,500 and weighed three tons, didn’t have to be hooked up to municipal lines for electricity, sewage or water. In a world without borders – an ideal world, in Fuller’s view – the Dymaxion House could be airlifted to a fresh location on a whim. The Dymaxion House was still an artefact of technocratic capitalism, dreamed up in response to the housing shortage in the US. In the early 1930s, Keats finds, Fuller demanded $100 million from investors to build the first prototype, observing that Henry Ford needed $43 million to create his Model A car. The house was to be mass-produced on factory floors, out of plastic and metal, each unit indistinguishable from the other as a matter of principle and to keep the cost down. But throughout the 1930s, most of the processes and materials required to build the house – light, strong plastics; high-tension alloys; bioreactors – didn’t yet exist. After the Second World War, Fuller made some prototypes, but his collaboration with the Beechcraft aviation company to manufacture houses for sale went nowhere. Even at the height of Fuller’s fame, the Dymaxion House never went into production. The Dymaxion House remained perpetually imminent, a Fullerian prophecy of how people could and should live. Fuller imagined that efficient, modular construction would liberate its residents, so that they could spend their newfound free time learning and thinking. But the design made no allowance for the owner’s preferences, or for how topography and weather varied from place to place. For an avidly industrialised society, the home, and the human within it, had become pure machine. Fuller’s career seemed to evolve in reaction to failure. That winter in 1927, he’d been determined to drown himself after his business venture went under. Then, when he failed to commit suicide, he became an inventor. And when his inventions – the house, the car, the bathroom – proved stillborn, he became a futurist. In the 1960s, he stopped building things he thought the world required and started forecasting those requirements instead. As a result, Fuller’s attentions started to span the entire planet. If, earlier, he was boiling down his ideas into the design of a showerhead, now he was scaling them up into abstract global systems: international power grids; simulation games that played for world peace; supply chains for metals, minerals and other planetary resources. (Admittedly, the technology for a global information network didn’t exist at the time. Fuller would have been thrilled by the internet, and its capacity to trace and accelerate the allocation of goods.) This kind of ‘comprehensivist’ approach, Fuller’s clunker of a term, was the only means ‘to make the world work for 100 per cent of humanity, in the shortest possible time, through spontaneous cooperation, without ecological offence or the disadvantage of anyone’. Fuller maintained that he was apolitical, but in the postwar US, these vast diagnoses hooked the counterculture. His maxims spoke to the young and the unemployed, to the protestors of the Vietnam War, to the anti-nuke and environmentalist movements. In Drop City, a hippie commune founded in Colorado in 1965, Fuller’s geodesic domes bloomed like warts, constructed out of material salvaged from scrapyards. His concept of ‘Spaceship Earth’, an attempt to convey the fragility and celestial loneliness of the planet and its ecosystem, was an inspiration for the publication of the Whole Earth Catalog, the magazine that became the counterculture’s manifesto-in-progress. Early editions often devoted themselves to Fuller. ‘No one had the kids eating out of his hand like he did,’ the architect Philip Johnson observed. Yet there was nothing pastoral or socialist about Fuller’s vision for the future. The answer to the problems induced by technological excess was not less technology, but more – more, and different, technology. Fortunately, an efflorescence of innovation was also at hand. With a nimble system of education, environmental design and efficient planning, Fuller was convinced that scientists and corporations could do more with less. His thinking was analogous, in some ways, to that of McLuhan, who celebrated the way mass media was extending the notion of the human being. If the goal of human history is a uniform type of man, reproducing at a uniform rate, in a uniform environment, kept at a constant temperature, pressure and humidity, like a uniformly lifeless existence, with his uniform physical needs satisfied by uniform goods… most of the problems of human development would disappear. Only one problem would remain: why should anyone, even a computer, bother to keep this kind of creature alive? In the years after Fuller’s death, the world’s faith in technology faded. Globalisation and the emergent neoliberal consensus accompanied environmental crises, the failures of assorted technological panaceas, and a mistrust of officials and experts. We are emerging only now from the shadow of these other, deeper disappointments, into the bright, confusing light of a new technological boom. Perhaps this is why there is a certain reassurance to be mined from Fuller’s principles. A belief in technology as salvation is really a belief in humankind’s capacity to use it as such, to not bend it to damaging ends. Fuller was a tireless optimist when it came to his species. We have been endowed with intelligence, he thought, so we occupy a special place in the universe. ‘Nature was,’ he wrote, ‘clearly intent on making humans successful.’ This was the quintessential Fuller paradox: he doubted our ability to mend our imperfections, but he was confident in our facility to develop technologies that can outwit them.